Automobiles have come a long way since the horse and buggy days. Many innovations are created each day and countries around the world are clamoring to make vehicles, better and more reliable for their consumers. Since safety is the number 1 concern of most people when choosing a car, several manufacturers have been working to make their vehicles more secure to keep the people inside out of harm’s way. Some of the ways these companies have been able to provide this protection include communication features. Manufacturers know that the more a person knows about the environment around them, the safer they are. Here are some of the best tech auto communication features designed to keep you safe. Vehicle-to-vehicle and vehicle-to-infrastructure are useful technologies created to allow cars to “speak” to other vehicles and nearby infrastructures such as lane markers, traffic lights, cameras, street lights, and signage. V2V and V2I have created an environment where cars can share pertinent information such as traffic jams, car accidents, weather conditions, and closed roads. This is just one of the many steps that will eventually lead to a fleet of safe, self-driving cars. 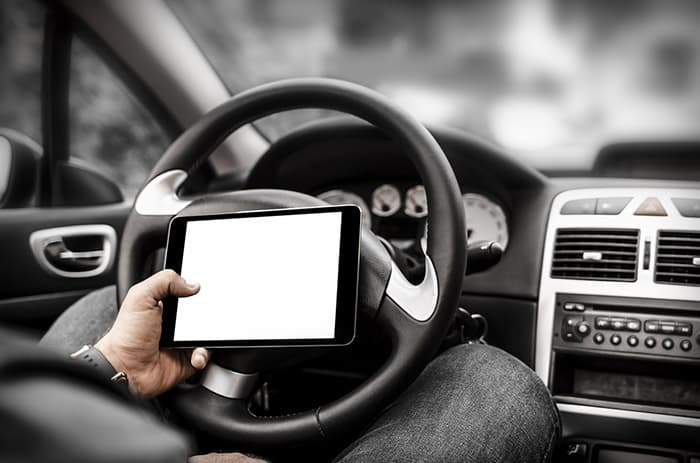 Since your car will soon be able to drive itself, that means you are going to need to have something to busy yourself with as your vehicle does all the work. Even now, when we’re stuck in traffic or taking a long trip alone, we want to be connected. Many auto manufacturers have been introducing new lines of vehicles that are compatible with smartphones. Android Auto and Apple CarPlay allow drivers to enjoy their smartphones without having to take their eyes off of the road. That means that you can stay in communication with your family, friends, and emergency services if necessary, right from the “infotainment center” of your vehicle. You can play music, set up navigation preferences, send text messages, and make phone calls just by using your voice. Many car makers have introduced new vehicles that double as wireless Hotspots and include several spots for you to charge you and your passengers’ many devices. Many cars come with a free year of WiFi connection, but after that trial period is over, you will have to choose a data plan and pay extra for it. The data plan may be worth it especially if you like to take long trips with your family or friends. Your passengers will be able to keep themselves occupied for hours with a fast 4G connection to music, games, videos, apps, and web searching. Staying in contact with others won’t work if your device is dead. That is why many automakers have started working on plans, or already introduced, wireless charging stations built-in to their vehicles. Many automakers were only able to make this wireless charging station compatible with Android devices. However, Apple finally rolled out a series of phones from the iPhone 8 and beyond that support wireless charging. This means that new car models should be compatible with an iPhone 8 or higher as well as Android devices. Double check with your car’s manufacturer before spending extra on a feature you may not need to use. The technology of safety systems has reached incredible new heights in recent years. New laws have been enforced that all new car models must be equipped with blind spot cameras. However, many automakers have gone the extra mile with their safety systems. Not only are many new car models equipped with a rear, front, bird’s eye, and blind spot cameras, they often come with a network of sensors that work in tandem with the cameras to detect signs of danger. For example, if you are driving along the highway and want to change lanes, the sensor and camera systems will work together to find out how fast the cars behind you and in front of you are moving, so you know the best time to make the lane change. If there is a car barrelling down the next lane at 90 mph, the car will correct your steering wheel to keep out of the car’s way until it is safe. These anti-collision systems also communicate to you when a passenger walks out in front of your vehicle and will emit a warning sound and correct your steering wheel if you drift off to sleep and begin drifting into other lanes.